This article is about the German politician. For other people with the same name, see David McAllister (disambiguation). David James "Mac" McAllister (born 12 January 1971) is a German politician of the Christian Democratic Union (CDU), who currently serves as a Member of the European Parliament (MEP) and as Vice President of the European People's Party. He is also Vice Chairman of the International Democrat Union. On 1 July 2010 McAllister was elected Prime Minister of the state of Lower Saxony, succeeding Christian Wulff, who resigned following his election as President of Germany. Until his election defeat on 19 February 2013, he headed a coalition government with the liberal FDP, the Cabinet McAllister. In the 2014 European elections, McAllister was elected a Member of the European Parliament as the CDU's top candidate in Lower Saxony. A lawyer by profession, he served as chairman of the CDU parliamentary group in the Lower Saxon Parliament from 2003 to 2010 and was elected chairman of the state party in 2008. In November 2016 he left the chairman post, and announced that he sees his political future in Europe. McAllister holds both German and British citizenship. Following his election as Prime Minister, he was described as a rising star in the CDU and as a potential successor to Angela Merkel. He has more recently been mentioned as a possible future European Commissioner. McAllister was born in West Berlin on 12 January 1971 to a Scottish father and a German mother. His father, James Buchanan McAllister, was a British civil servant, originally from Glasgow (where the family still has relatives), stationed in West Berlin since 1969, where he was attached to the Royal Corps of Signals. His mother, Mechthild McAllister, is a music teacher. David McAllister was raised bilingually and attended a British primary school in Berlin. In a 2010 interview he linked his family's name to Clan MacAlister. After his parents moved to the small town of Bad Bederkesa in Lower Saxony in 1982, he went to the Lower Saxon Internatsgymnasium (boarding school) in Bederkesa, where he took his Abitur in 1989. From 1989 till 1991, McAllister served his compulsory military service in the Bundeswehr, in Panzerbataillon 74 in Cuxhaven. From 1991–96 he studied law with a scholarship from the Konrad Adenauer Foundation at the University of Hanover. In 1994, McAllister became local chairman of the CDU youth organisation, Junge Union, in the Cuxhaven district. 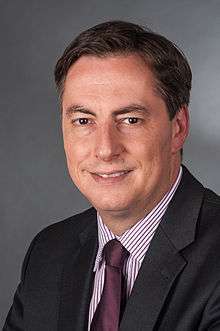 David McAllister holds both German and British citizenship and speaks both German and English as native languages, although he has stated that he's "more or less completely German. I've lived in Germany all my life. I did all my school in Germany and my military service in Germany." His upbringing in West Berlin, however, he describes as "very British" with "British network, British schools". Holding dual citizenship, he could have relinquished his German citizenship to avoid compulsory military service in Germany (the UK does not have compulsory military service), but opted to serve instead. McAllister has said that "my upbringing in West Berlin may have had an impact on my resentment towards communists. I became a member of the CDU when I was 17 – it was a birthday present. My parents said, ‘What do you want for your birthday?’ I said I wanted to become a member of the CDU", explaining that his father was a Conservative, although neither of his parents were involved in party politics. 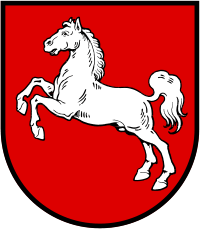 From 1996 till 2010, McAllister was a member of the Cuxhaven district council (Kreistag). He served as mayor of his hometown of Bad Bederkesa from 2001 to 2002. From 2002 to 2003, he also was secretary general of the CDU in Lower Saxony. Since 2003, McAllister has served as the leader of the CDU parliamentary party group in the Parliament of Lower Saxony, of which he has been a member since 1998. McAllister succeeded Christian Wulff as party chairman of the CDU in Lower Saxony from June 2008 until November 2016. He was succeeded by Bernd Althusmann. In the United Kingdom, McAllister is a supporter of the Conservative Party. In 2005, Chancellor Angela Merkel offered him the position of Secretary General of the CDU, but McAllister declined, arguing he did not want to rise too far too fast. He was a CDU delegate to the Federal Convention for the purpose of electing the President of Germany in 2004, 2009, 2010 and 2012. On 4 June 2010, McAllister was designated by his party to succeed Christian Wulff as Prime Minister of Lower Saxony, if the latter were to be elected President of Germany on 30 June. After the election of Wulff as President, David McAllister was elected the new Premier of Lower Saxony the following day. He was subsequently also appointed to the supervisory board of Volkswagen, the largest company in Lower Saxony and of which the state of Lower Saxony is a major stockholder. From 2010, he also served as a member of the supervisory board of Volkswagen. 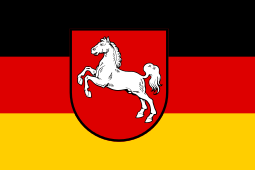 Following the Lower Saxony state election, 2013, David McAllister's CDU-FDP Coalition lost control of the Landtag, which meant that the Christian Democrats and the Free Democrats eventually lost the government role. On 19 February 2013, Stephan Weil of the Social Democratic Party of Germany (SPD) was elected Prime Minister of Lower Saxony with the votes of SPD and Alliance '90/The Greens. Following the 2013 German elections, McAllister was part of the CDU/CSU team in the negotiations with the SPD on a coalition agreement. As a Member of the European Parliament, McAllister serves as chairman of the Delegation for Relations with the United States and as member of the Committee on Foreign Affairs. In this capacity, he is the parliament’s rapporteur on Serbia. In addition, he is a member of the European Parliament Intergroup on SMEs. He became Vice Chairman of the International Democrat Union in 2014. In October 2015 he was elected Vice President of the European People's Party. He is married to Dunja McAllister, née Kolleck, who is also a lawyer. They have two daughters named Jamie Elizabeth and Mia Louise. He lives in Bad Bederkesa in the district of Cuxhaven. McAllister proposed to his wife on the shore of Loch Ness, and married in August 2003, wearing a kilt. He later explained it was a family tradition. He supports Rangers FC and Hannover 96. ↑ "Curriculum Vitae of Prime Minister David McAllister". Lower Saxony State Chancellery. Retrieved 17 November 2011. ↑ "State Chancellery". 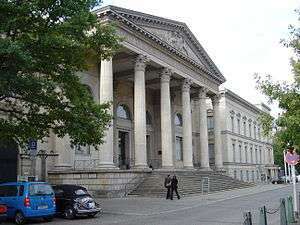 State-chancellery.niedersachsen.de. Retrieved 22 February 2011. ↑ "Lower Saxony international". International.niedersachsen.de. Retrieved 22 February 2011. 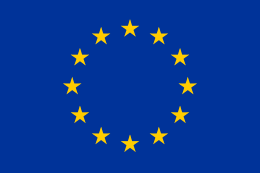 ↑ "European elections: MEP lists (complete)". The Parliament Magazine. Retrieved 27 June 2014. ↑ Esther Bintliff (January 21, 2013), 5 reasons to care about the Lower Saxony election Financial Times. ↑ Exner, Ulrich (11 February 2016). "Der dezente Wiederaufstieg des David McAllister" – via Welt Online. ↑ "David McAllister gibt CDU-Parteivorsitz ab". ↑ Exner, Ulrich (1 July 2010). "McAllister lässt sich in keine Schublade stecken" [McAllister will not let himself be pigeonholed]. Die Welt (in German). Retrieved 10 June 2012. 1 2 "Scotsman to make history as state premier – The Local". Thelocal.de. Retrieved 22 February 2011. ↑ William Ahlen Berlin (22 February 2003). "Scot sets sights on leading Germany Son of Glasgow soldier becomes the Christian Democrat leader – Herald Scotland | Sport | SPL | Aberdeen". Herald Scotland. Retrieved 22 February 2011. ↑ Kate Connolly in Berlin (4 June 2010). "Conservative in a kilt to become premier of Lower Saxony | World news". The Guardian. UK. Retrieved 22 February 2011. ↑ "Handelszeitung – Neuer niedersächsischer Ministerpräsident zieht in VW-Aufsichtsrat ein". Handelszeitung.ch. 1 July 2010. Retrieved 22 February 2011. ↑ Hebel, Christina (19 February 2013). "Neuer Niedersachsen-Premier Weil: Der Anti-Schröder startet durch" [New Lower Saxony PM Weil: The Anti-Schröder takes off]. Spiegel Online (in German). Retrieved 19 February 2013. ↑ Europäische Union: McAllister betreut Beitrittsverhandlungen mit Serbien Spiegel Online, November 3, 2014. ↑ Members of the European Parliament Intergroup on SMEs European Parliament. ↑ Party, EPP - European People's. "Structure". 1 2 3 Allan Hall (6 February 2009). "Could Germany be ruled by man named McAllister who got married in a kilt, supports Rangers... and drinks Irn-Bru? | Mail Online". Daily Mail. London: Associated Newspapers. Retrieved 22 February 2011. ↑ McElroy, Damien (2 December 2012). "Half-British politician in line to lead Germany's CDU party". The Daily Telegraph. London. ↑ "The 'British' Germans the war left behind". BBC News. BBC. 16 November 2011. Retrieved 16 November 2011. ↑ "University forging German links - The University of Edinburgh". Wikimedia Commons has media related to David McAllister.